I first participated in the Canadian Book Challenge “back in the day” as they say. It was 2008/09 for the 2nd Canadian Book Challenge to be exact. Yes, my blog is that old. 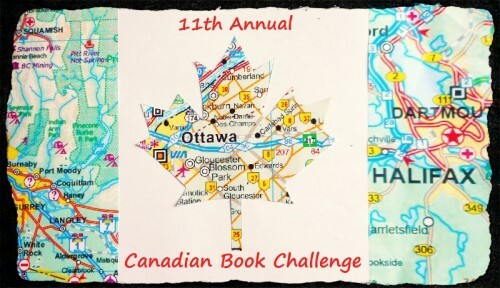 The Canadian Book Challenge event is now in its 11th year. Started by John from Book Mine Set, the call to arms has been taken up by Melanie (The Indextrious Reader). Initially the goal was 13 books with one from each province or territory in Canada. But as the overall purpose is to read Canadian books, you can interpret the challenge any way you like. In 2009, I didn’t stick to my original list and instead just counted up all the Canadian books I read. I don’t think I’ll set out a list this time either, but I will make a conscious effort to go outside my comfort zone. My comfort zone tends to be historical (European) fiction and writers I’ve already read. I also find I tend to be drawn to those “buzzy” books that people talk about on social media. I am trying to be more critical of that, especially knowing how ‘buzz’ is frequently an orchestrated activity, not necessarily natural. My other goal this time around is to get back into book blogging. While I haven’t actively been blogging for the past few years, I have still been reading, and usually just logging my books on GoodReads. I’ve also been reviewing books occasionally for magazines and other publications, so hopefully I will continue to do that too. Check here for more information about the 11th Annual Canadian Book Challenge. Good luck with your resumed challenge! It’s a great way to keep your reading focus when there are just so many good books to read (which I’m guessing, given you work in publishing, you understand all too well).